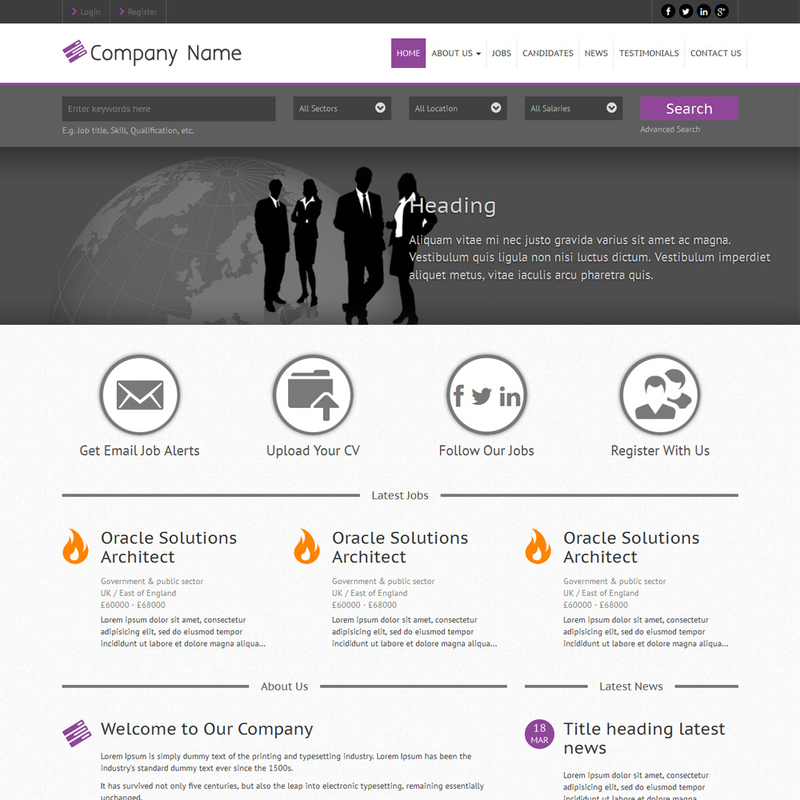 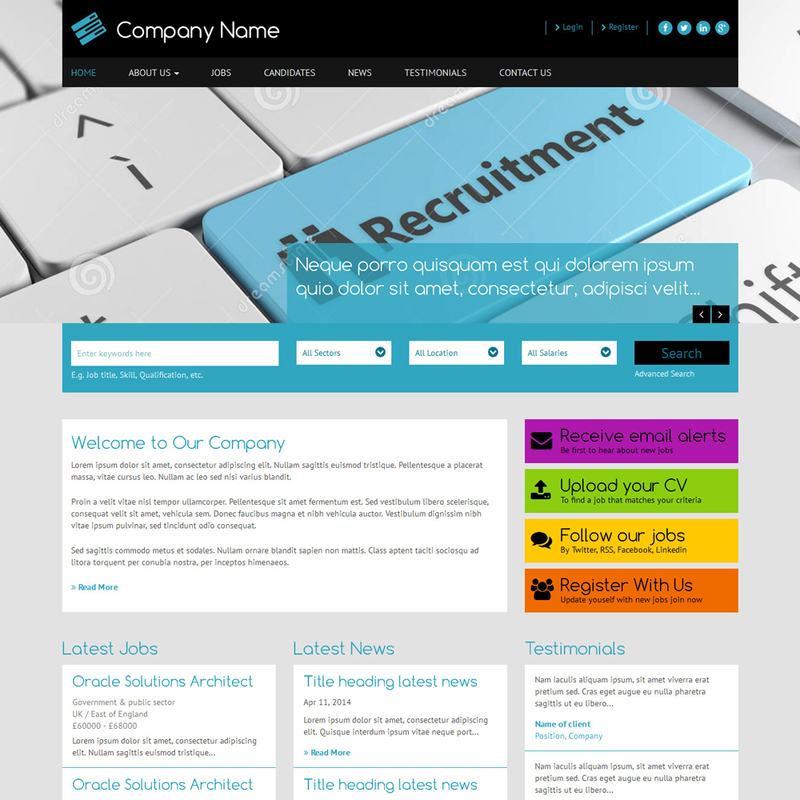 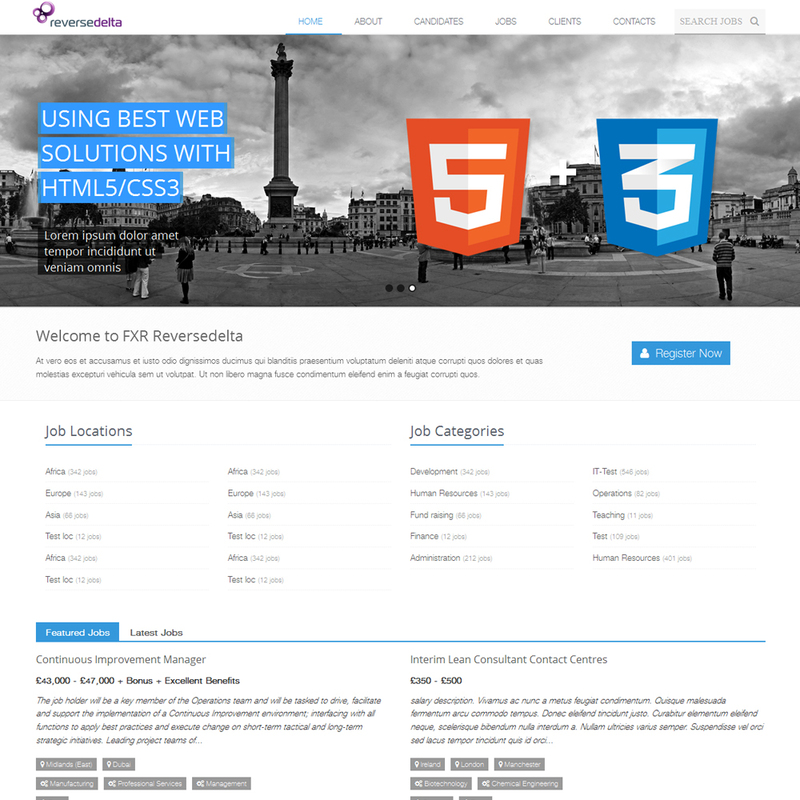 Template Edition is perfect for small businesses, startups or even for employers wanting their own careers site. 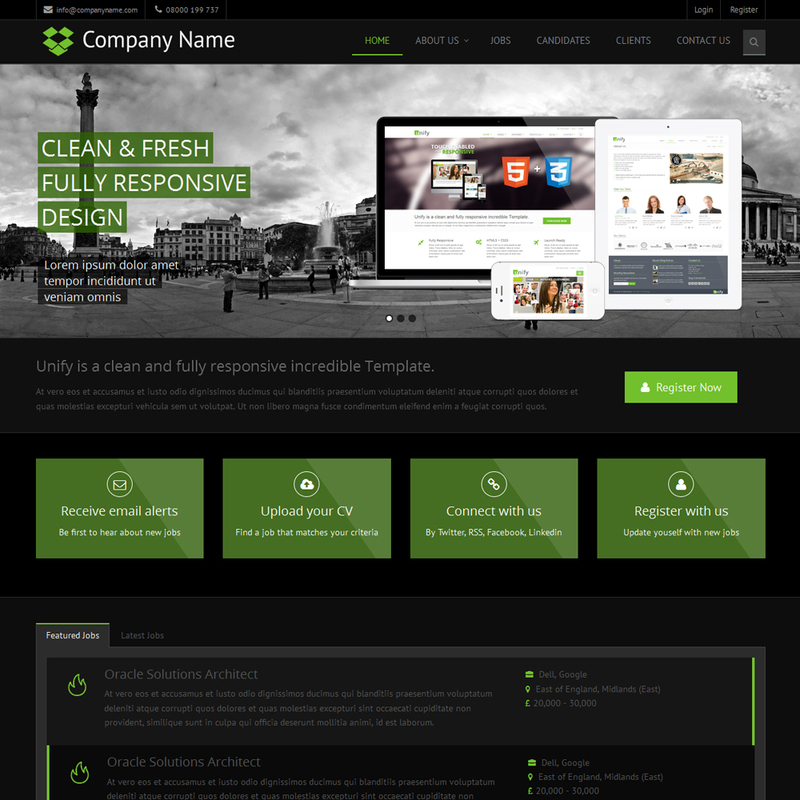 The following Responsive website templates are available and are customised to match your company : all you need to do is provide your logo, add your own choice of photography, jobs and other content and you are ready to go live. 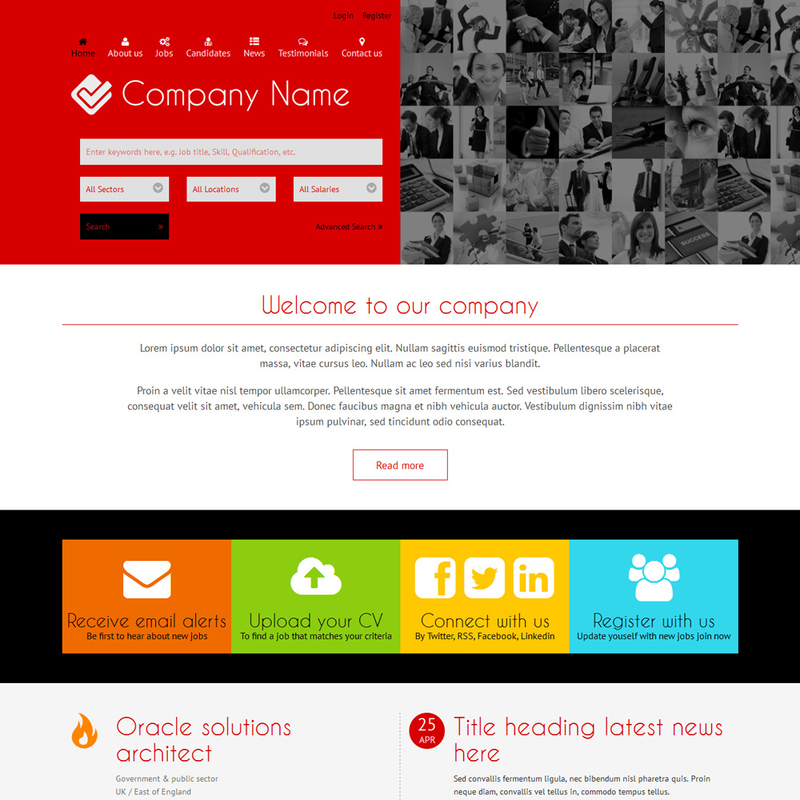 If you want us to match the exact colour of your logo then please let us know.